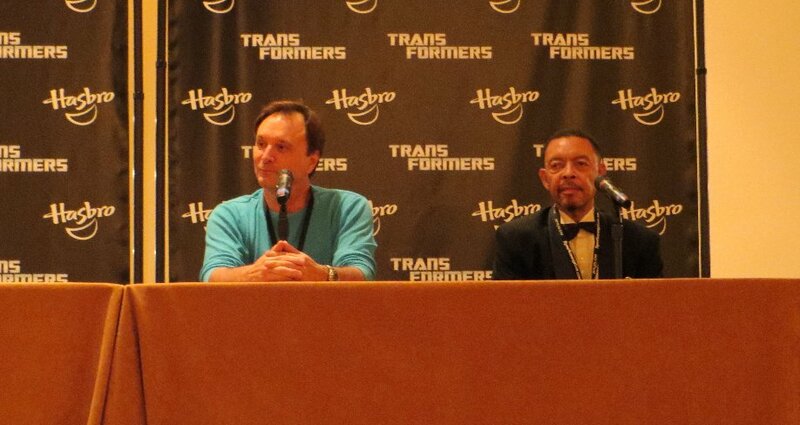 The panel started 10 minutes late (which is fairly significant for a 45-50 minute panel). 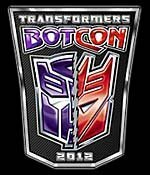 They started off by talking about their experiences with Transformers. Or at least, what they remember of it, 28 years later. 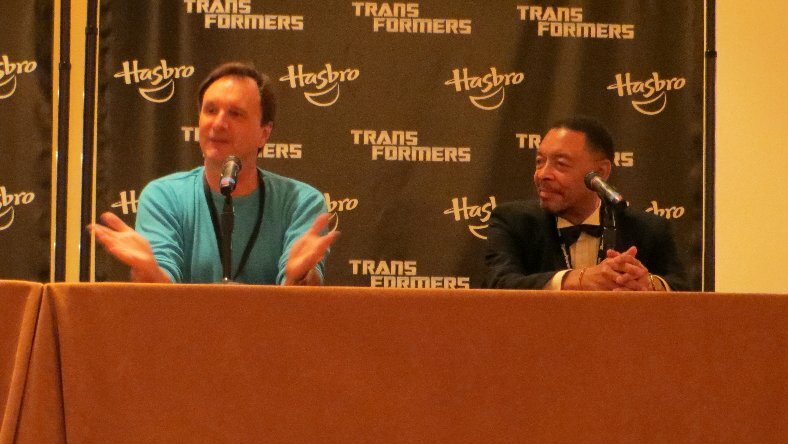 Dan - Back in the Spring of 1984, he met with Wally Burr (the Voice Director) and did the Audition for Ratchet & Prowl. He was instead asked to Bumblebee, and a week later was called back to try Spike. He was told that he already got Bumblebee. Buster - Doesn't remember much about his time with Transformers. Just remembers trying for hundreds of roles for heaps of cartoons at that time, getting call backs for 1 or 2 every so often... having to ask them to remind him what part he had auditioned for. He said that he got the one part that he auditioned for in Transformers (he said Ratchet, but was Blaster). His Daughter actually knows more about Transformers than he did. He was quite surprised to find out that this convention & fandom existed, when called up late last year by FunPub. Neither had any idea that Transformers was going to be so successful, as they were doing heaps of voice roles for heaps of cartoons. It was just one of many jobs for them. The pair haven't worked together since Transformers, and has been about 9 years since they last saw each other. Dan said that he auditioned for the role of Bumblebee in the 2007 Movie (for his single speaking line), but didn't get it. 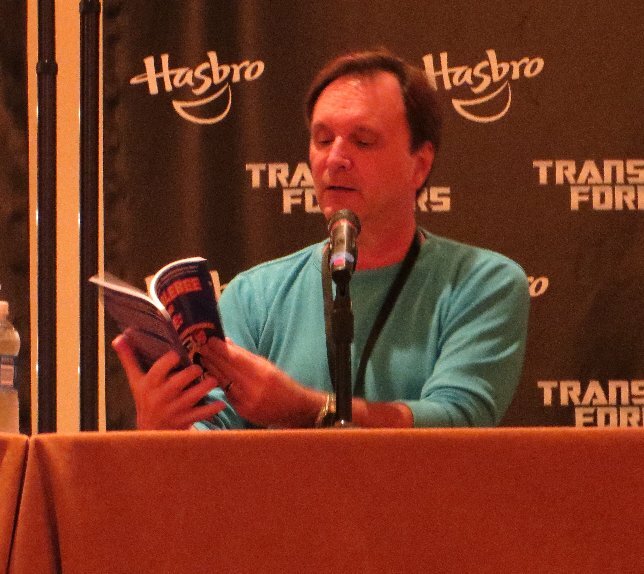 He then plugged his new book - Bumblebee & Me - which details anecdotes of his time Voice Acting, mostly with Transformers. They both admired Scatman Crothers (the voice of Jazz) as a great VA and Musician. Buster talked about Scatman being a bit "hostile" as if there was a rivalry between the two black Voice Actors. Apparently Wally Burr (the Voice Director) did Jazz's lines after Scatman died. They both spoke highly of Wally. But also talked about how he would put them through gruelling recording sessions. Often 8 hours for just a 22 minute episode. Meticulous, but always got great results out off the Voice Actors. With the 1986 Movie, Buster was one of the lucky few to actually see Orson Wells record his lines, due to his ego demanding that none should be in attendance. Dan said that his recording schedule had him recording everything on his own, so he didn't get to see any of the big names. There was up to 30 Voice Actors by the end of the Transformers series, leading to people having to record in groups of 4, as there wasn't enough room for everyone to record at once. They said that Chris Latta was the ultimate talent. Buster - couldn't remember from all the ones he's done. ***All pictures in this convention report are mine unless noted. Any that are borrowed, have the source credited/noted. If you want to use/borrow any of my photos, all I ask is for you to please credit the source as well. I try to take as many of my own photos as possible, and usually only resort to using others if I failed to get something, or my photo wasn't clear enough.